Canal House Amsterdam, The Netherlands. Spanning three 17th-century merchants’ houses on Amsterdam’s elegant Keizersgracht waterway. It’s surprisingly swish but dark and moody, modern and clever all at once. 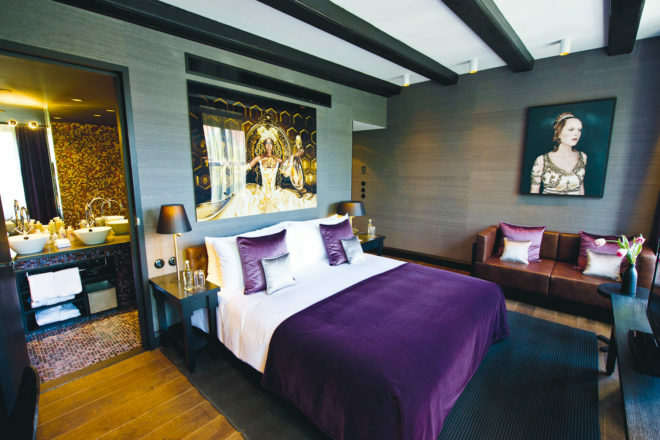 Guestrooms are little Dutch masterpieces – lustrous Vermeer colours, whimsical artworks and exposed beams. Even the most bijou come with hi-tech equipment (Bose iPod docks, Blu-Ray players, wi-fi). The Bar, the Great Room and the leafy garden are the social hubs for a pale ale or coffee. You’re in the heart of things – cyclists whiz by, canal boats are on the move and everything is just around the corner. Did you know The building was dedicated to St Donatus who guards against lightning.